Now 11 years into its tenure at PGA National Resort & Spa, The Honda Classic is a well-established fixture in its community. The experience that fans have when they attend the tournament supersedes which players are in the field and on the leader board. So in a year when top draws Tiger Woods and Rory McIlroy were sidelined by injuries, and a PGA TOUR scheduling switch eliminated the Doral Miami stop in lieu of a trip to Mexico this week and altered the schedules of select other players, The Honda Classic took advantage of perfect weather over four days to post a slight increase in attendance. The Honda Classic, won on Sunday by fan favorite Rickie Fowler, attracted 203,815 confirmed spectators over seven days between the Monday Pro-Am and Sunday’s final round, a slight increase over the 202,128 that saw Adam Scott prevail in a day-long duel with Sergio Garcia in 2016. The victory vaulted Fowler back into the Top 10 in the Official World Golf Ranking at No. 9, just as it did for Scott a year earlier. The slight increase also marked a second consecutive year of growth after the 2015 tournament was plagued by bad weather and drew 165,200. 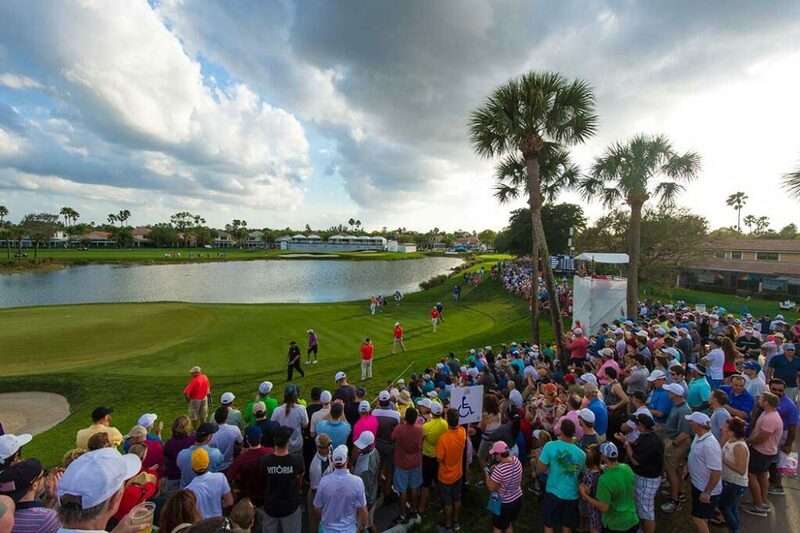 The modern-day attendance dwarfs the number of fans (83,500) who attended The Honda Classic in 2007 when it moved to PGA National Resort & Spa. The tournament broke the 100,000 barrier in 2010. “We are very encouraged that after losing two great players like Tiger and Rory, and even having other name players run into scheduling conflicts for various reasons, that we were able to sustain the excellent relationship that our event has with the Palm Beach County/Treasure Coast community,” Honda Classic Executive Director Kenneth R. Kennerly said. “In the end we had four of the current top 10 players and 12 of the top 25, and were able to give our golf fans a sensational weekend of competition.